Tax Day in the United States is on Tuesday, April 18th, and taxes are due in Canada on April 30th. As is typical for this time of year, the IRS (Internal Revenue Service) and CRA (Canada Revenue Agency) issue warnings for consumers to be aware of scams that can target your money and/or identity. Reports note that tax scams can account for as much as 30% of all fraud reports. So, what scams should carriers be on the lookout for? And, what can you do to protect yourself against scams? Read on to find out the four best tips we can offer to avoid scams this tax season. You receive an email that looks like a bill for unpaid taxes, that could be general in nature or for some specific filing such as medical expenses. The sender will ask for your Social Security Number/Social Insurance Number and your bank account number, to confirm your identity. They will demand payment, usually within a few days/hours, or tell you they will follow legal action against you. You could receive an email that appears to come from a US or Canadian government agency telling you that it is sending you a refund. Like the first kind of email scam that demands payment, the email sender will ask for your Social Security Number/Social Insurance Number and your bank account number, to confirm your identity. You receive an email that appears to come from a software company. It instructs you to download tax software updates from a website. The downloads turn out to be malicious software (“malware”) that can disrupt computer/mobile operations, gather your sensitive information you may have stored on your computer/mobile phone, gain access to private computer systems, or display unwanted advertising on your computer or other device. Ignore messages that come by email, text, or social media because both the IRS and the CRA do not use these forms of electronic communication to contact taxpayers. If you receive a message but you aren’t sure whether it’s legitimate, don’t respond or click on any links. Look for some telltale signs that a site is not authentic, such as website addresses that seem questionable or do not match the site’s name, non-personal greetings, and misspelled words in either the email subject or body. Never click on links in an email suggesting that you update your tax software. Verify the update with a legitimate software company or an IT professional first. You get a phone call from someone posing as an official from the IRS, CRA or a local law enforcement agency. The person tells you that you have an unpaid tax bill and threatens you with arrest, deportation, suspension of your CMV driver’s license or carrier operating license, or some other penalty unless you pay your bill immediately. The caller instructs you to pay by debit card (so the money is immediately withdrawn from your bank account), gift card, or wire transfer. The caller may even trick the caller-ID information that appears on your phone so that it appears that the call is coming from a government agency. You could get a phone call or text from a false IRS official who instructs you to enter personal information about yourself into a false IRS website. They direct you over the phone to log on to the website, which can download malware that gains access to sensitive information on your computer. As soon as you realize the call might be questionable in any way, you should hang up. Do not accept specific payment instructions. Government taxy agencies offer many payment methods, and you can choose the one you want. Remember, the IRS or CIA will never call you to demand payment and/or threaten to arrest or deport you over the phone for unpaid taxes. Shred all documents that contain your personal information on them. The top three pieces of information that a scammer are looking for are your home address, Social Security Number/Social Insurance Number, and date of birth. And, if you use a third party to file taxes, make sure that they cross-cut shred all your documents as well. This plug in one: Aurora GB 6-Sheet Strip Cut/Credit Card Auto Start/Stop Shredder without Wastebasket. It would be ideal to file in March or Early April, to avoid any surprises and set up payments (if applicable). Also, if you file early, you beat scammers to illegitimately filing on your behalf. In addition, filing electronically can help keep your financial information secure by making sure a paper document with your Social Security number, address, salary and bank account information does not get intercepted in the mail. Especially important for drivers who may be unable to access their mail for longer periods of time. Both the IRS and CRA both encouraging electronic filing. Report the scam to the Treasury Inspector General for Tax Administration. The phone number is 800-366-4484. Forward emails you think come from scammers to phishing@irs.gov. Contact the IRS Identity Protection Specialized Unit if you believe someone has used your personal information to file a tax return or steal your identity. The phone number is 800-908-4490. You should report deceptive telemarketing to theCanadian Anti-Fraud Centre online or by calling 888-495-8501. Do you need a quote or want to place an order? Do you have a truck and are looking for a load? Fill out the form below; our 24/7 365 bilingual English/Spanish accessibility means we will get back in touch with you wherever, whenever, and however you like. United World Transportation (UWT) started out as the third party logistics company United World Cargo, which was founded in 2003. Monthly updates for lane availability, market news, driver & regulatory information, and anything new at UWT. Subscribe today! 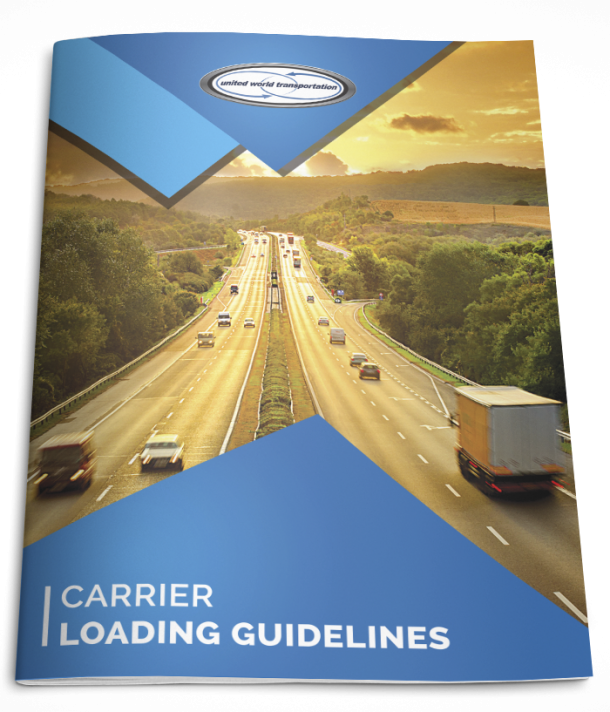 Get your Copy of the 2017 Carrier Loading Guidelines Now! Are you a new carrier? Interested in receiving our daily hot lanes directly to your inbox? Sign up below to get your free download today and get added to our exclusive hot lanes list! The Carrier Loading Guideline is on its way to your email!